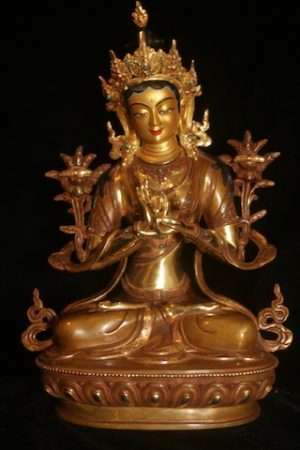 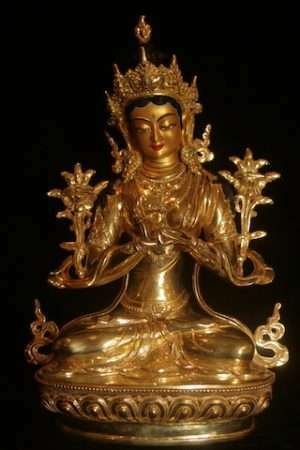 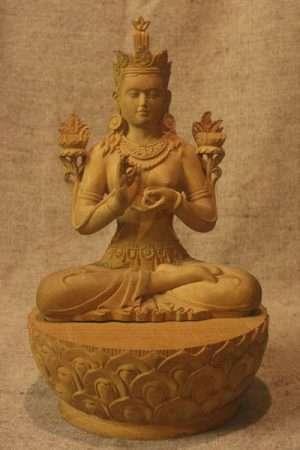 Prajnaparamita (the Perfection of Wisdom) is the Mother of Wisdom, Mother of all Buddhas. 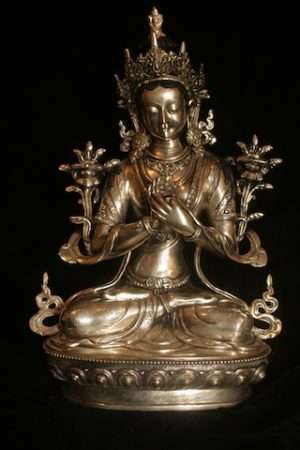 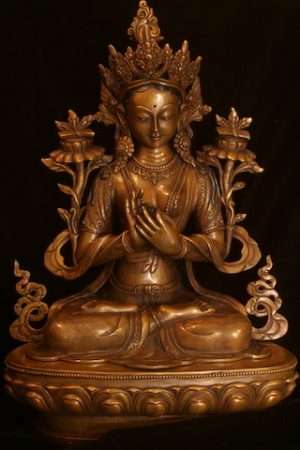 She is Associated with Heart Sutra and always has a copy of The wisdom Sutras ( texts). 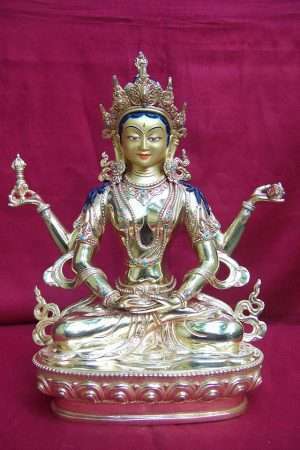 Her mantra is “Om ah Dhih hum svaha”. 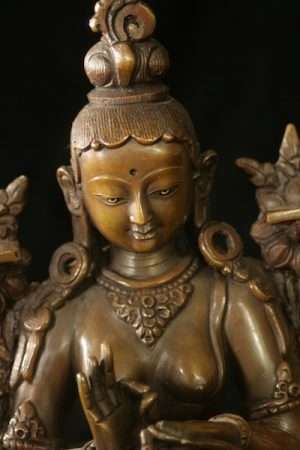 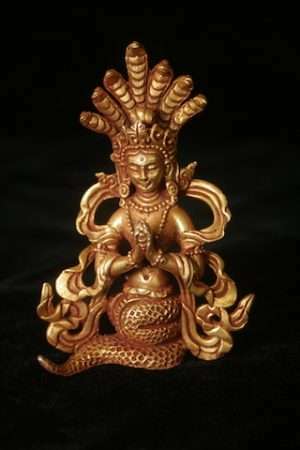 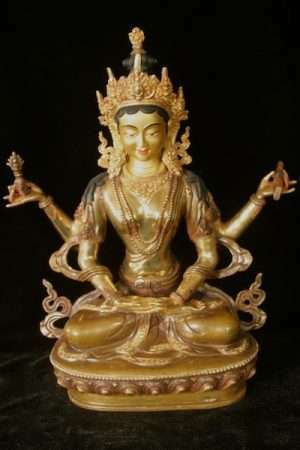 Prajnaparamita is the wisdom goddess, infinitely creative, ever fresh and beautiful as the Buddha-Dharma she embodies. 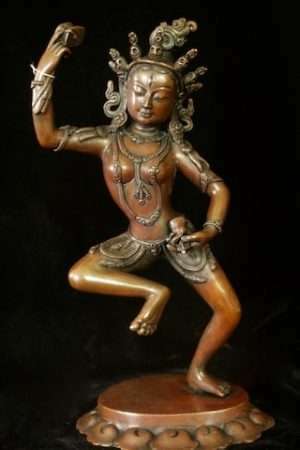 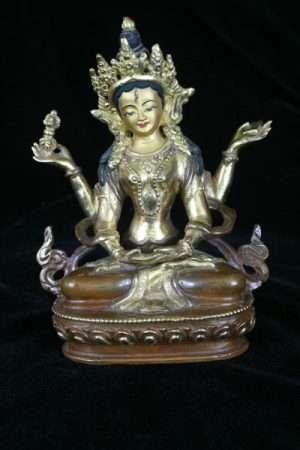 In Tibetan she is known as Sherapkyi Pharoltuchinma. 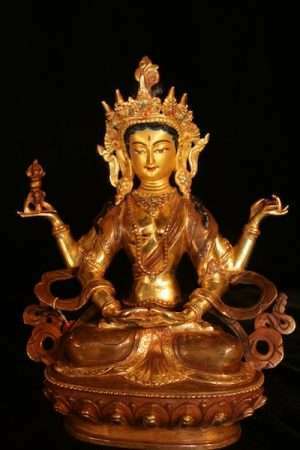 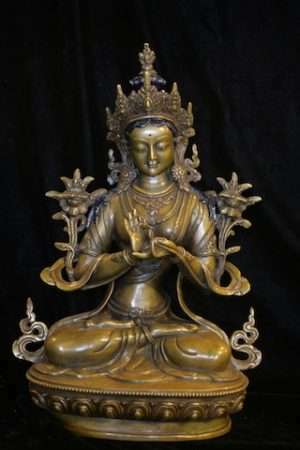 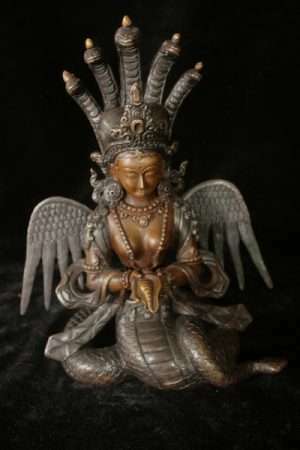 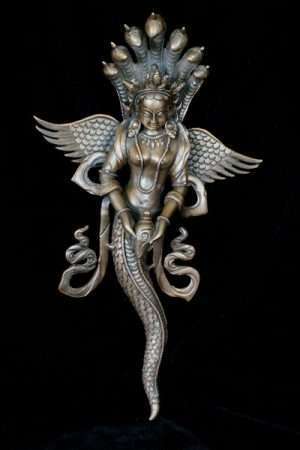 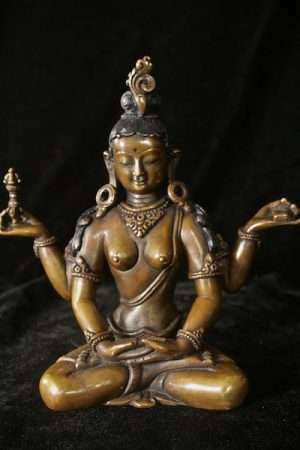 She appears in two armed or four armed forms with the Dharmachakra, Wheel of the Dharma / teaching mudra.